White House officials Denis McDonough and Josh Earnest stopped by the press room on Wednesday with doughnuts as a peace offering after deputy national security adviser Ben Rhodes told the New York Times that the media is a clueless pack of Millennials that knows "nothing." "We appreciate what you do," McDonough told media members, according to CBS News White House correspondent Mark Knoller. "You should have brought Ben Rhodes," a reporter responded. McDonough and Earnest termed their visit "press appreciation day," according to a pool reporter in attendance. 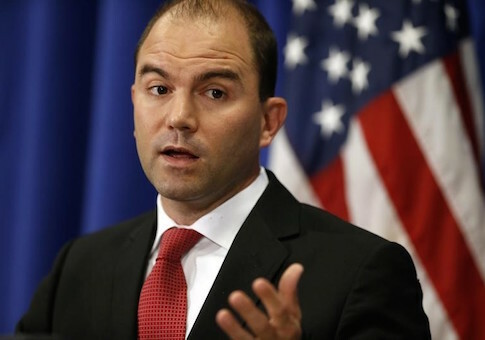 The White House is seeking to heal the damage done by a New York Times Magazine profile of Ben Rhodes, President Obama’s deputy national security adviser. Rhodes is quoted in the profile ridiculing the White House press corps as too naive to cover world events. In the profile, Rhodes boasted about creating an "echo chamber" of Obama-friendly experts to help sell the Iran nuclear deal, and said the average reporter was 27 years old and only had experience covering presidential campaigns. "They literally know nothing," Rhodes said. Earnest, in damage control mode, told reporters Monday that Rhodes likely would have phrased it differently if given another chance. This entry was posted in National Security and tagged Ben Rhodes, Denis McDonough, Iran Nuclear Deal, Josh Earnest, New York Times, White House. Bookmark the permalink.